I read Ready Player One to prep for Armada. I’d never picked it up before, though it’s been on my kindle for quite some time and I have had it on audio for almost as long. It was about time. 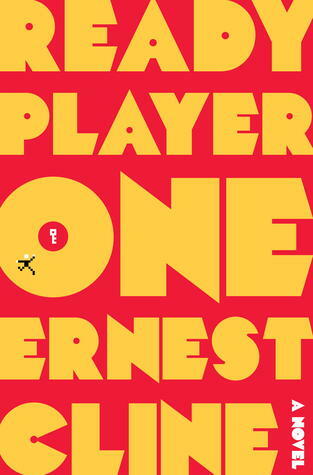 Ready Player One is a fast-paced adventure story with some fun 80s references. It’s like Spy Kids 3D meets an 80s video arcade. In Cline’s world, virtual reality has taken over. While the world outside becomes increasingly destitute, virtual reality plays an increasingly important role in the distribution of services. Think online high school, but times 1,000. The OASIS (the platform that runs the VR) is huge and its influence seems ever expanding. When the OASIS creator dies, he reveals a secret: he has hidden a series of tests within the OASIS. The player to find and solve all three tests first will win the rights to the OASIS and an enormous fortune. Wade lives in extreme poverty. He goes to school in the OASIS, because schools in his area IRL are underfunded and unsafe. He lives in a kind of sup-ed up trailer park where trailers are stacked on top of one another 20 stories high. After his parents’ death, he went to live with his aunt who either ignores or abuses him. But he’s holding out hope that his love of OASIS and vigilant study of the creator’s 80’s obsessed life will help him to find the easter egg and get the money to leave his life behind. Ready Player One is a popcorn read. It’s fun, light-weight and the story flies by. The story is filled with fan-service that makes it easily popular with a crowd that can remember arcades and Sega Genesis. However, I wouldn’t go in expecting fantastic characters or too much world-building. The characters have, generally, some pretty basic motivations and backstories. The relationships are fairly straight-forward. Boy has best friend (username: Aech), boy meets girl online (username: Art3mis), etc… The plot itself is similarly straight-forward. You are in for a treat if you like obviously bad bad guys with little to no nuance. In fairness, I often like this. The big bad in the book is a group called the Sixers (or Suxors) they’re basically representatives of a company that has put its resources to finding the easter egg, taking over the OASIS, and monetizing it. Be prepped for some ham-fisted moralizing about companies, capitalism, and open sourceiness. The world inside the OASIS is pretty neat with an interesting minecrafty set up. Outside of the OASIS, you don’t really get a lot of explanation for why the world is in its current state. That, for me, is kind of a bummer, but it’s not really the point of the book, and considering that about 80% happens in OASIS, it’s not too much of a distraction. Overall, Ready Player One is fun. It’s a vacation, on-an-airplane, get ready to be nostalgic adventure. As a big bonus: Wil Wheaton narrates it. He’s perfect for the role. This entry was posted in Reviews and tagged 80s, Adventure, Aech, Art3mis, Book Review, Books, Ernest Cline, OASIS, Ready Player One, Science Fiction, Virtual Reality, Wade.